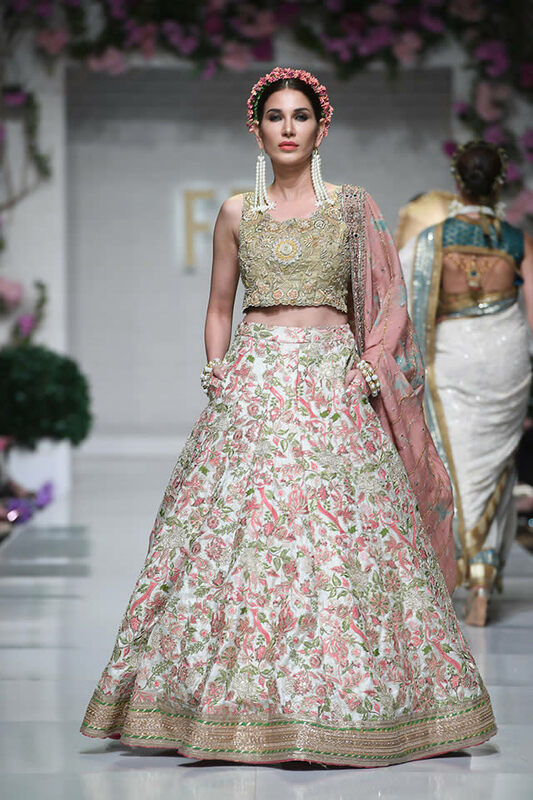 Huma Adnan is the leading and well known fashion designer, who has launched the latest and unique dress collection. 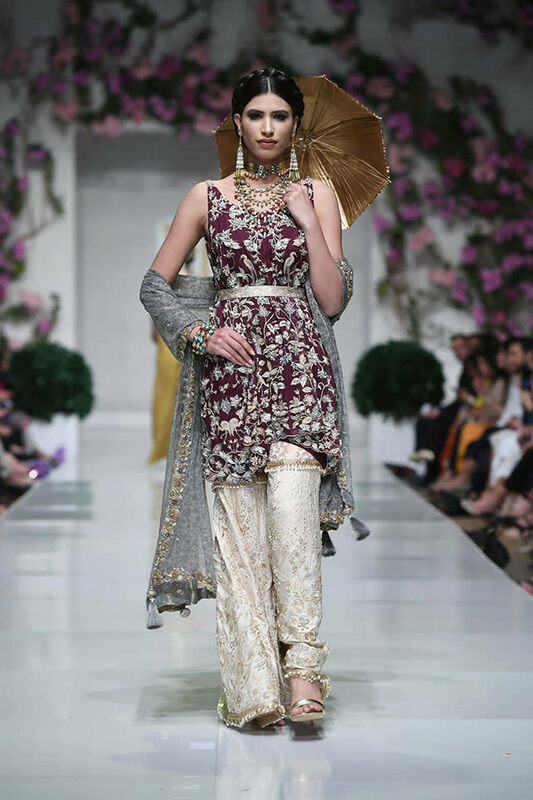 The fashion designer has released the latest fashion collection at Fashion Pakistan Week 2019 and this collection has gained the popularity among the women. The dresses of this fashion brand are prepared in unique and intricate design and style. 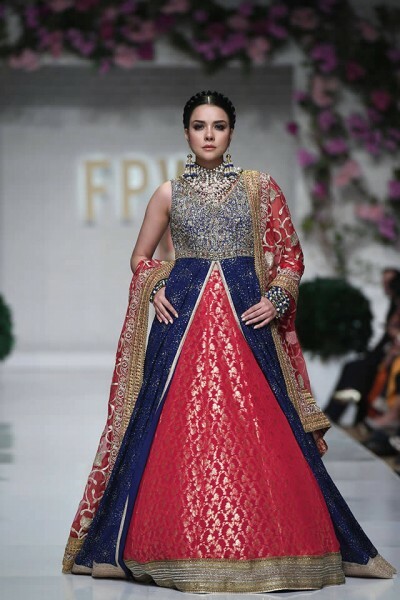 Huma Adnan Latest Fashion Collection at FPW 2019. The Monsoon bride celebrated monsoon weddings and various bright colors are used in this collection. 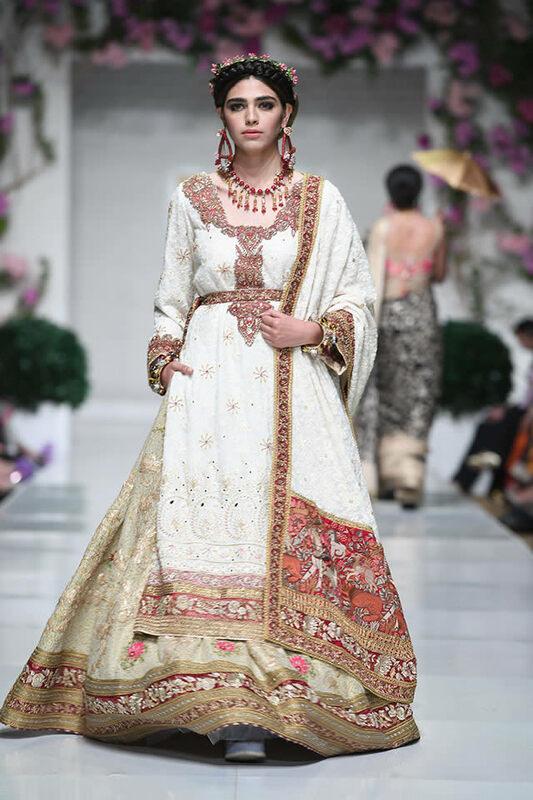 The refreshing designs are added with freshness in air to carry the blissful omen of rain and blossom. 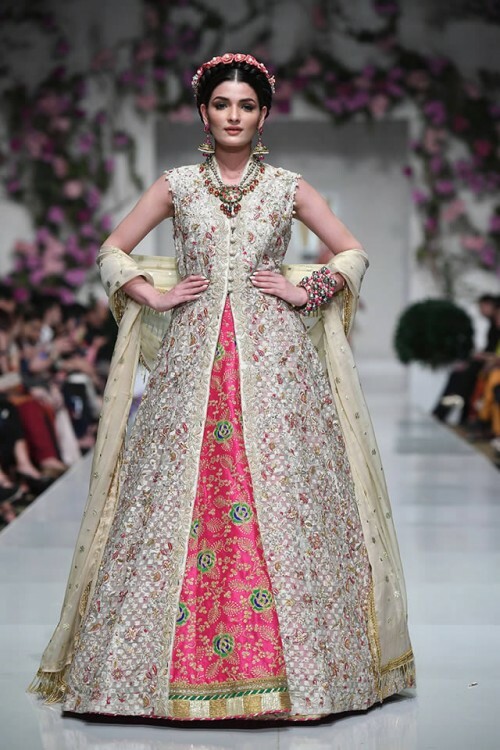 The dresses are great for the happy people, who want to let down their tresses and they can celebrate their happiness with their loved ones. 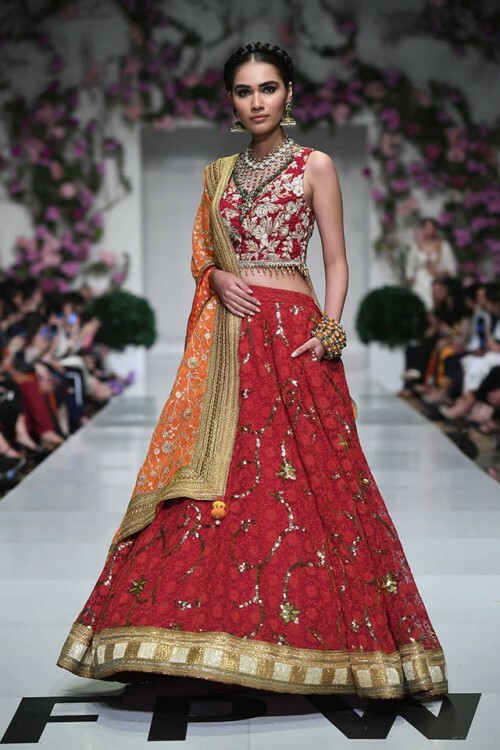 In this collection, lehengas and sarees show the intricate embroidery work in pearls, beads and sequins and this collection reflects the emotion of bride. The dresses of this collection are designed to make this day unforgettable. The contemporary bride does not allow anything to reveal in milestones and make each moment count and collection has made sure. 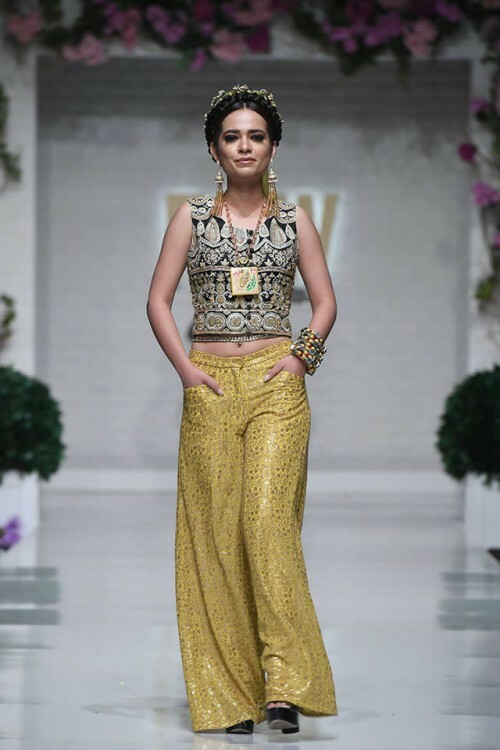 The models like Sarah Khan and Parishey Adnan were the showstopper in this collection.